MES was closed for Lao New Year, because many kids wanted to spend time with their families. Some of them visited their families in rural villages in the country or other provinces. 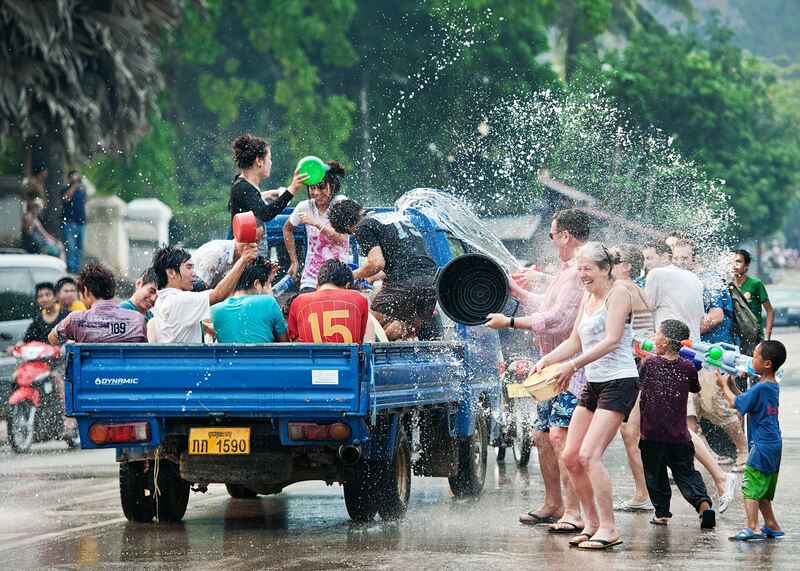 The official festival lasts for three days from April 14 to April 16 (although celebrations can last more than a week in towns like Luang Prabang). The first day is the last day of the old year. Houses and villages are properly cleaned on the first day. 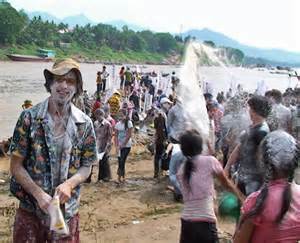 Perfume, water and flowers are also prepared for the Lao New Year. The second day of the festival is the “day of no day”, a day that falls in neither the old year or the new year. The last day of the festival marks the start of the new year. Sand is brought to the temple grounds and is made into stupas or mounds, then decorated before being given to the monks as a way of making merit. There are two ways to make the sand stupas. One way is to go to the beach, and the other way is to bring sand to thevat, or temple. Sand stupas are decorated with flags, flowers, white lines, and splashed with perfumed water. Sand stupas symbolize the mountain, Phoukhao Kailat, where King Kabinlaphrôm’s head was kept by his seven daughters. Flowers are gathered to decorate Buddha images. In the afternoons people collect fresh flowers. Senior monks take the younger monks to a garden filled with flowers, where they pick flowers and bring back to the wat to wash. People who didn’t participate in the flower picking bring baskets to wash the flowers so the flowers can shine with the Buddha statues. In the evening lao people usually go to the temple to worship the Buddhas. 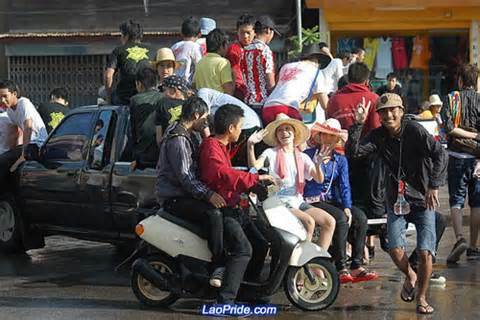 There is an annual beauty pageant in Luang Prabang to crown Miss Pimai Lao (Miss Lao New Year). There are many beauty pageants in Laos, but Luang Prabang – the old capital – is widely known for its Nangsangkhan pageant. There are seven contestants, each one symbolizing one of King Kabinlaphrôm’s seven daughters.